The classic introduction to scientific French style aromatherapy. The PIA Aromatherapy Course 4th Edition. A really brief representation of PIA's three main educational programs! The Masters Course is for everyone wishing to go deeper into the scientific detail of French style aromatherapy. In depth treatment of the Chemistry and Biology of essential oils and an extensive introduction to using essential oils most efficiently for prevention and treatment. Plant Language is a unique offering. It is NOT a course to be studied where then, at the end, one's command of theory is tested. The main thrust of Plant Language is to offer the student the most authentic and radiant essential oils that stood at the beginning of French style aromatherapy. These oils, such as real Population Lavender from Provence, Green Myrtle and Inula graveolens from Corsica allow the student to develop a relationship with these oils so the healing concepts of this form of aromatherapy become second nature. 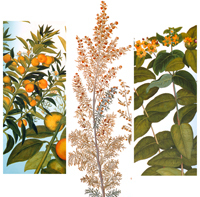 Plant Language presents different journeys or exercises which encourage the sudent to personally experience how to use Lemon oils for liver detoxification or Helichrysum to heal scars. There are journeys designed to explore the difference between EO and CO2 extracts, compare Western style prescriptions to the use of oils in Chinese medical Aromatherapy and many more, exploring everyday aromatherapy issues. 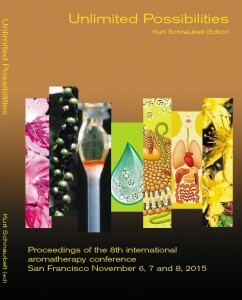 Classics by Dr. Kurt Schnaubelt, Conference Proceedings of the PIA conferences and other interesting aromatherapy titles. Pertinent information about oils, trends and scientific developments, too long to read on screen will occasioanly be offered here. Some free and others for a fee.